The RHS Chelsea Flower Show begins this week, displaying stunning show gardens and floral exhibits for visitors across the country to enjoy. This annual celebration of horticulture and garden design never fails to impress, bringing us innovative new designs from household names and unique new plant varieties from all the leading nurseries and plant breeders. If you are visiting the show this year you may notice one very special new rose variety. This rose has been bred by Harkness Roses and is named ‘This Morning’ in honour of the popular ITV daytime show’s 30th Birthday. 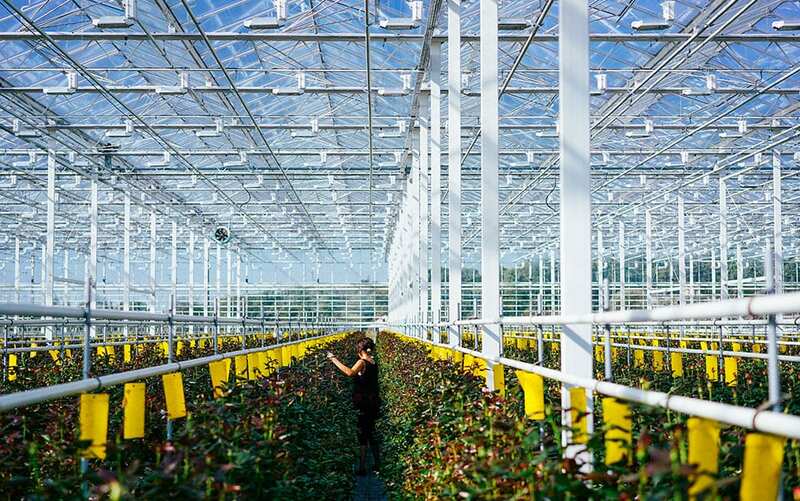 Harkness Roses have regularly won gold for their new plant varieties at the Chelsea Flower Show, so there’s no doubt that this will be a beautiful and high quality new plant. 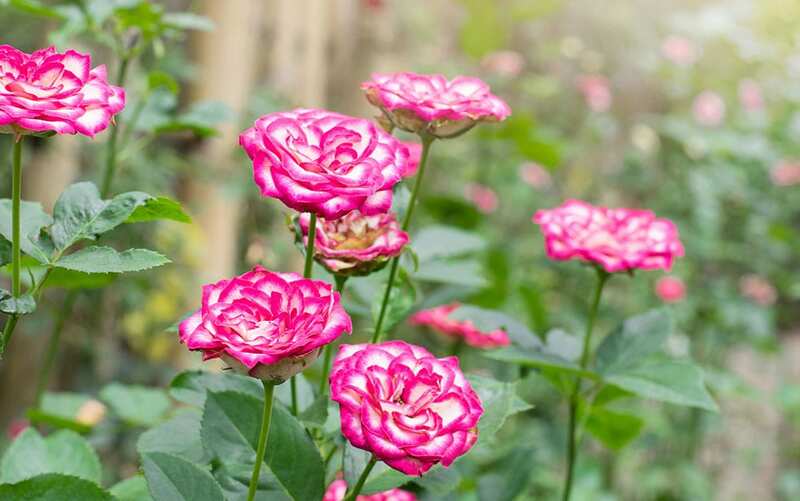 The new rose has small elegant flowers which open wide to show off an impressive three rings of colour, from the outer dusky pink to the inner deep crimson and bright yellow stamens. Perfect for both containers and beds, with a long flowering period and sweet perfume to attract bees, this plant is sure to be an instant hit (just like its namesake). Breeding roses is a long and rigorous process that can take years. 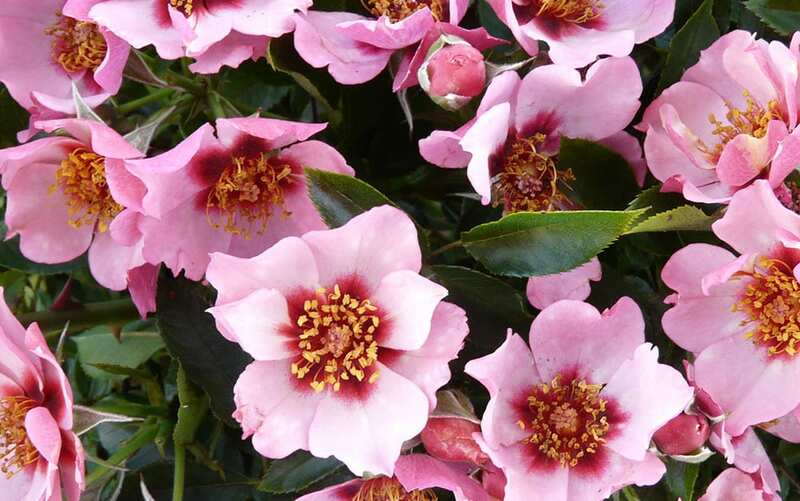 In this case, ‘This Morning’ has been in the making for eight years, starting with choosing the characteristics of the plant all the way through to testing the rose in a huge variety of soils and environments to ensure its resilience. 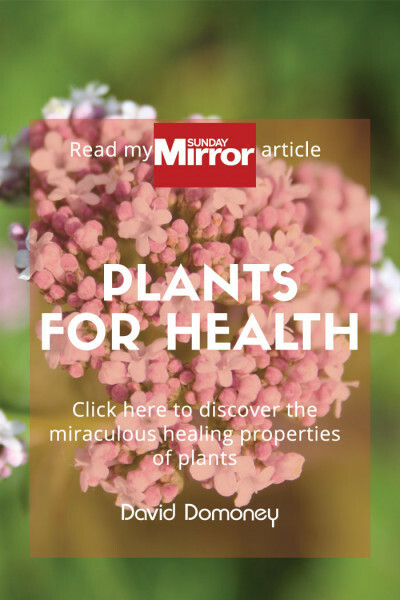 Once you have selected two parent plants for you’re a variety, you must transfer the pollen from the male organ of one plant, to the female organ of another plant. Once cross-pollination is complete, you’ll be left with a seed pod, from which you can use the seeds to begin growing the new variety. Cuttings can be taken to create more of the new plant. The trials and assessments that these new plants must then go through are extremely thorough and take several years, until finally you are left with the finished plant. 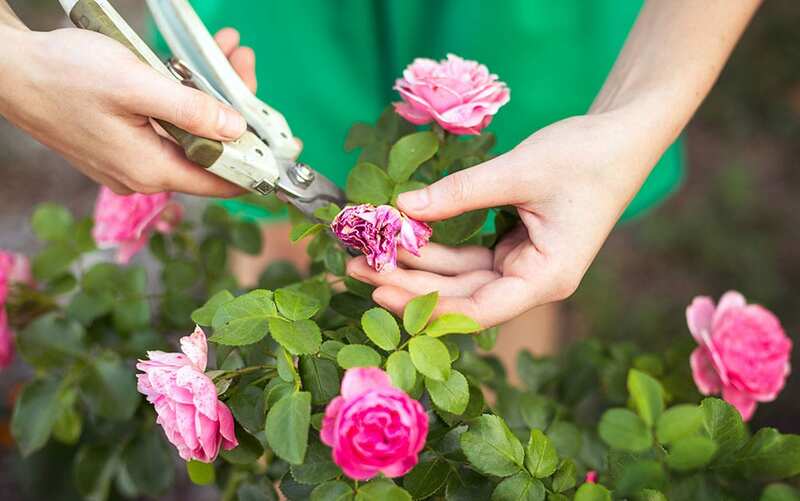 R – Rough prune—rough prune your roses by cutting each plant to half its height, pruning to an outfacing bud. 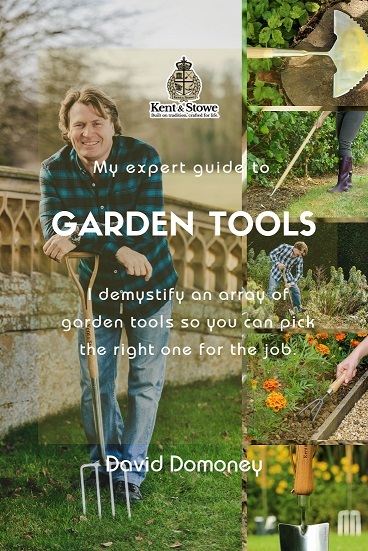 This removes old wood and encourages the development of strong healthy stems. 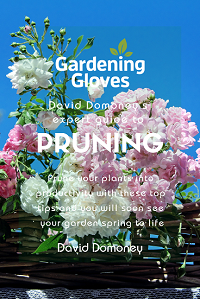 It is much easier than the traditional pruning method but produces equally good results. O – Overcrowding—avoid overcrowding roses with other plants, or with long grass growing around the plant. This decreases air circulation around the plant and encourages pests and diseases to take hold. S – Spray roses – Fill a pump spray bottle with one quart white wine vinegar and three quarts water. 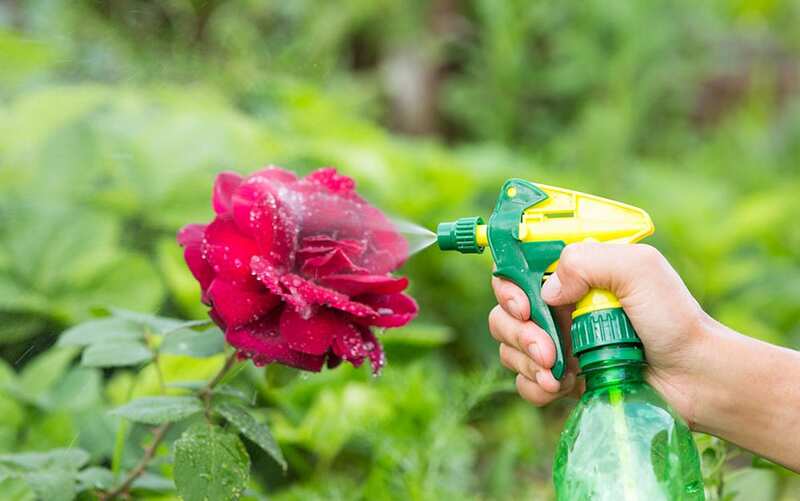 Spray roses to repel pests naturally without having to resort to chemical pesticides which harm bees and other pollinators. You can also apply vinegar directly to weeds found at the base of your rose for a safe alternative to chemical weed killers. E – Egg shells—mix crushed egg shells with your fertiliser or water your roses with the leftover water from your boiled eggs (2 cups per plant) to give them a boost in the vital minerals needed for healthy growth. B – banana skins—place un-composted banana skins around the roots of an established rose or line the hole with banana skins when planting a new rose. The skins decompose rapidly and release beneficial minerals, like potassium and magnesium, into the soil around the plant. U – Used coffee grounds—spread these around your roses to add nitrogen to the soil and attract worms. Since nitrogen is one of the main components of plant DNA, plants need nitrogen to create healthy leaves and stems. Worms are beneficial because they aerate the soil around the plant and eat various forms of bacteria and fungi that might otherwise attack your plant. D – Dead-heading—very important for encouraging new blooms on your rose bush is the removal of old heads. This will stop the plant from putting its energy into creating rosehips, allowing it instead to direct its attention towards producing new flowers. S -Surround roses with pest-repellent plants like Marigolds (Calendular officinalis) and Chrysanthemum. These plants repel a whole host of pests including slugs, ants and the rose’s nemesis—aphids! Marigolds repel pests with their scent, while Chysanthemum plants contain pyrethrin which is a natural insecticide. 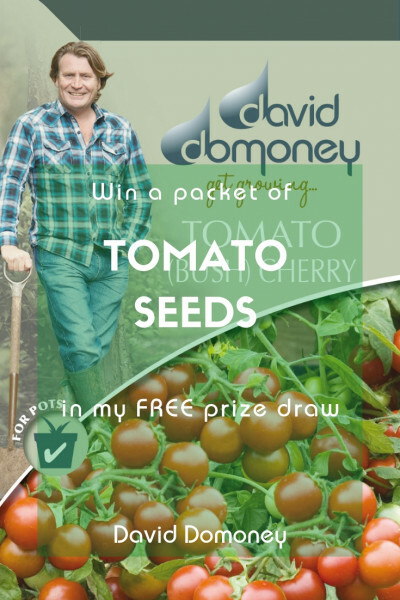 Want more information on the ‘This Morning’ Rose? 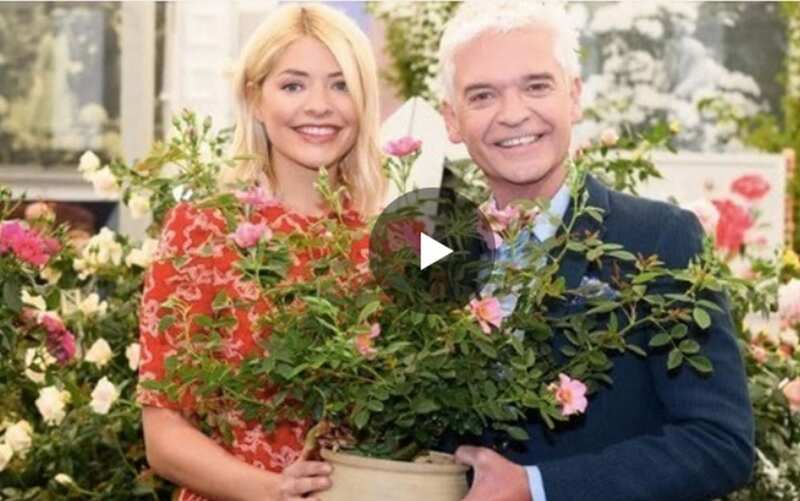 Follow the link below to read what Philip and Holly had to say about the beautiful new rose and ‘This Morning’s’ 30th birthday.